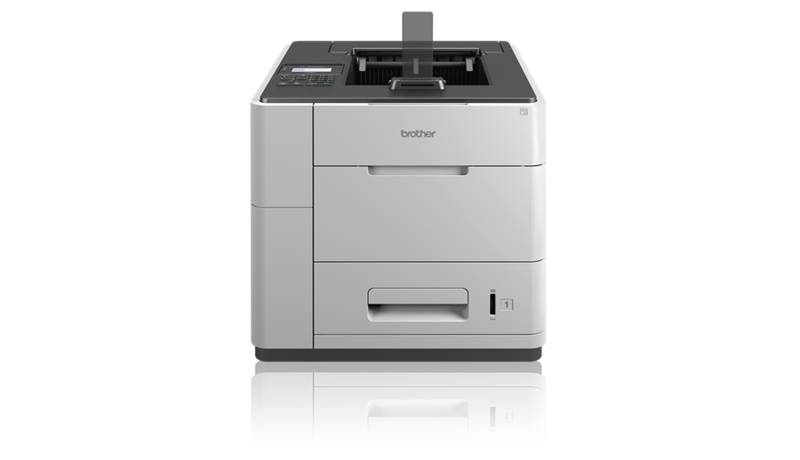 Built for reliable and ultra-fast printing, the Brother HL-S7000DN70 is ideal for busy offices with limited spaces. This compact printer has a small footprint but can offer upgradeable paper handling. It also comes with connectivity options, making it suitable for sharing. The Brother HL-S7000DN70 may offer low running costs but its initial price is costly. This boxy inkjet printer comes with paper trays at the bottom and an output tray on top. Right beside the output tray is the control panel, which comes with a numeric keypad and function buttons as well as a backlit display. It features USB 2.0 and Ethernet ports. For paper-handling, the Brother HL-S7000DN70 has a standard capacity of 600 sheets (500 standard sheets and 100 multi-purpose sheets). This impressive inkjet printer can deliver A4 media at 100ppm. Double-sided printing is at 25 images per minute. The Brother HL-S7000DN70 comes with standard duplexer. Workgroups can easily connect to the printer via Ethernet or Wi-Fi. Because it uses high-yield ink cartridges, this model is relatively cheap to run. To keep sensitive files safe, the Brother HL-S7000DN70 comes with secure print as well as a secure function that can restrict printing activity for group users or individuals. For an inkjet printer, the Brother HL-S7000DN70 is quite expensive. It’s maximum print resolution is only 600 x 600 dpi, which is okay for text printing but falls short for graphics printing.